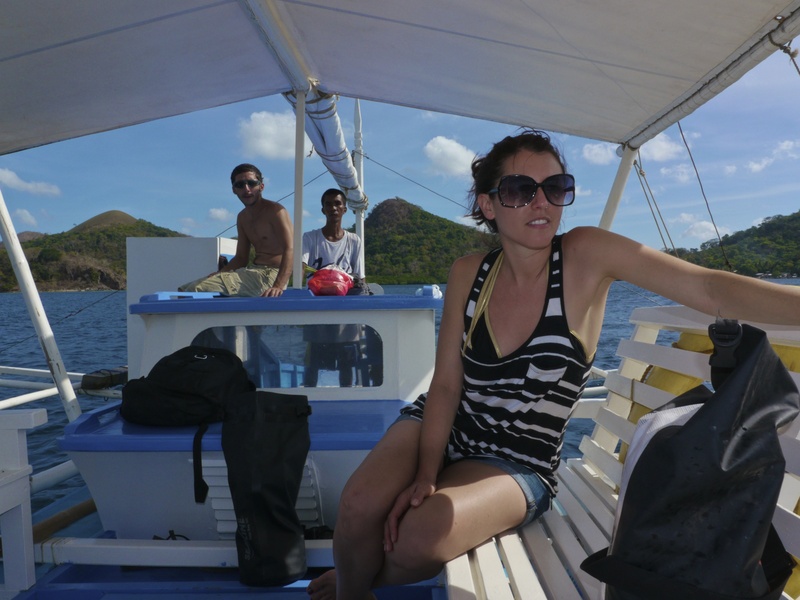 While staying in Coron, Philippines, we took advantage of the ability to cheaply hire a Bangka (wooden outrigger boat) and boatman and set out in the beautiful bay stopping wherever we wanted. It was an amazing day and we put together this video to share some of the highlights…enjoy! We arrived hot and tired in Coron Town, Philippines, after an arduous and exhausting series of flights, delays, cabs, vans, and finally- safely here at our stay at the lovely Corto Divers apartments. Coron is a small town on the island of Basuanga which is in the Philippine municipality of Palawan. 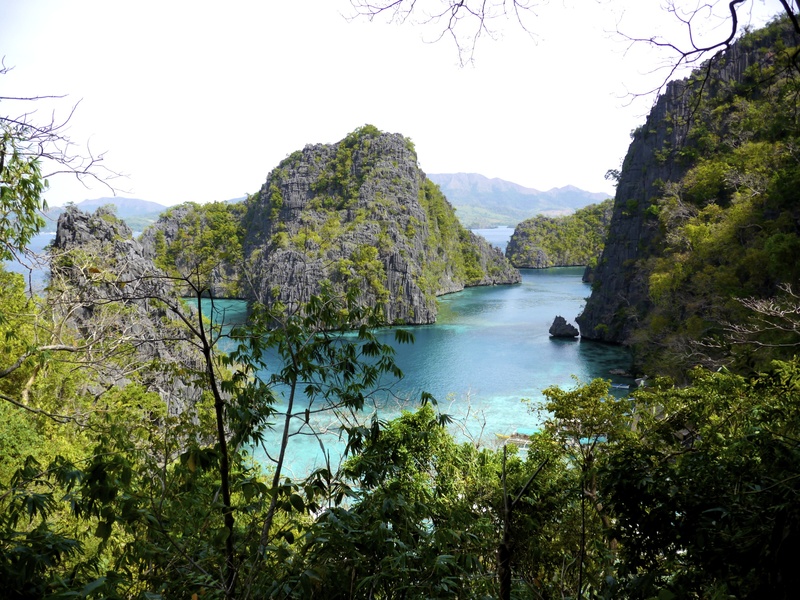 Coron is known for it’s fishing industries and diving adventures, and a growing tourism economy because of the latter. This whole region of Palawan is surrounded by hundreds (thousands?) of small islands, mostly covered in jungle, mangroves, rocky coves and craggy cliffs, as well as some hydrothermal activity which has resulted in hot springs and mixed salt water/fresh water lakes with hot thermal pockets great for swimming, snorkeling, and diving. What we didn’t realized upon arriving was how sparse the beaches on Basuanga Island were, and how far you have to travel by motorbike, jeepney, or boat to relax at a quiet beach not monopolized by a private resort. It feels foreign and familiar to us both to be back in Southeast Asia, having been in the region together in 2008 and Ben a few times in prior years. The smells, climate, humidity, pollution, and poverty felt shocking and difficult for me to adjust to initially. Although Coron has it’s share of travelers, many of the Philippino communities on the island seem to be living fairly simply. Luxuries such as hot water, electricity, Western toilets, or homes made of materials other than bamboo and palm seem to be few and far between. Ben found us a great stay at Corto Divers, and their apartments (only 3 rooms) are brand new, beautifully designed, and feels more like staying with your French cousins than at a hotel or hostel. It has been a great place to escape from the pounding sun to rejuvenate and relax. We spent our first few days exploring the region– taking part in a 6 destination snorkeling tour, renting a motorbike and driving up the rugged island roads, and checking out the congested, tiny town of Coron. The build-up was leading to the big question: Would Shana decide to get scuba certified here in this infamous diving location or not?! Corto Divers offers certification and the scene is unique as far as training goes- one on one instruction for three days in gorgeous tropical locale with brand new scuba equipment. With hesitation (dread? ), I went for it. My instructor, Olivier, was so skilled, patient, and though he pushed me, he ultimately made me feel safe. Every day of the course I came upon another challenge, mostly internal, which scared me and pushed my boundaries. What was so incredible about the course was moving through the fear every single time to experience another new and beautiful piece of life. In addition to the protected coral reefs, tropical marine fish and sea turtles, Coron’s diving is most known for it’s Japanese shipwrecks. In 1944 during WWII, the Japanese were occupying the Philippines and on September 24 of that year, a US Navy strike force of fighters and dive bombers attacked a Japanese supply fleet of up to 12 ships at anchor, here in Coron Bay and around Basuanga Island. It is unknown exactly how the US Navy located the ships. 8 ships were closely packed together in Coron Bay. I believe 10 ships in total eventually sank. Being there, it was hard to imagine this beautiful tropical and quiet bay, packed with fleets, on fire and sinking after US fighter planes dropped unexpectedly out of the sky and attacked. Well, here is where I completed my PADI Open Water Course! While Ben had done a number of shipwreck dives a few days prior, he and I both went out with two guides on the last day of my course and were able to share the experience of diving together in this wild, spooky, and fascinating location. 68 years later the ships are covered in marine life including lionfish, banana fish, crocodile fish to name a few. Some of the ships landed right-side up, and the adventurous diver (Ben) can actually go inside and see barrels, ladders, and coiled ropes. However in many ways the shipwrecks now resemble a coral reef, and it’s another incredible example of watching wildlife grow and simply take over. This was an experience I never thought I would have, but I’ll never forget it. 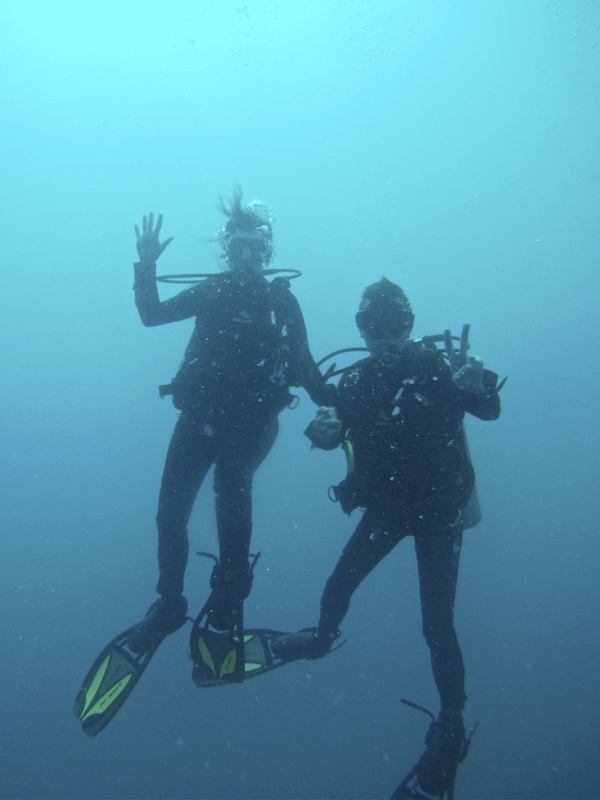 Check out the photos link in the menu for more photos, and stay tuned for a video of actual footage of the dives. After a stressful past week and a grueling past 48 hours, we are on the road–the road being a huge of slab of concrete known as the 405, which now resembles a parking lot, full of Angelenos on their way to work. We’re moving slowly but surely over the Sepulveda pass towards LAX and our first destination, the Phillipines. I have been fortunate to travel throughout South East Asia many times but I have yet to visit several countries, including the Phillipines. For many years I have heard stories of jewel encrusted white sand beaches where you can find your own piece of paradise, even if just for a day. I’ve also heard stories of tourist kidnappings, Manila Mafias, and all sorts of violence that makes your parents worry for your safety. We are choosing to write our own story and are looking forward to the slow pace, the turquoise colored snorkeling lagoons, and abundance of WWII wrecks to scuba dive off of that has drawn us to explore the island of Coron. One of the main inspirations for our trip is filming a short documentary dealing with the trash problem at the Full Moon parties on Koh Phan Ngan in Thailand, and a web series about social/political street artists in South East Asia…but that can all wait as right now our first order of business will be to decompress, snorkel, dive, and get some color into our white complexions. Stay Tuned!